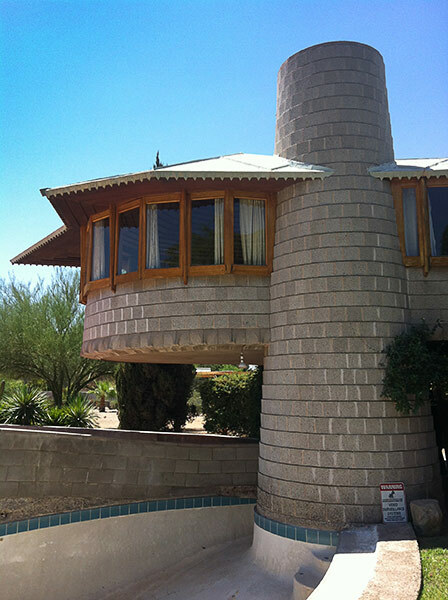 In Spring of 2012 Frank Lloyd Wright's David and Gladys Wright House was purchased by a developer and threatened with demolition to build luxury homes on the large lot in the Arcadia neighborhood of Phoenix. 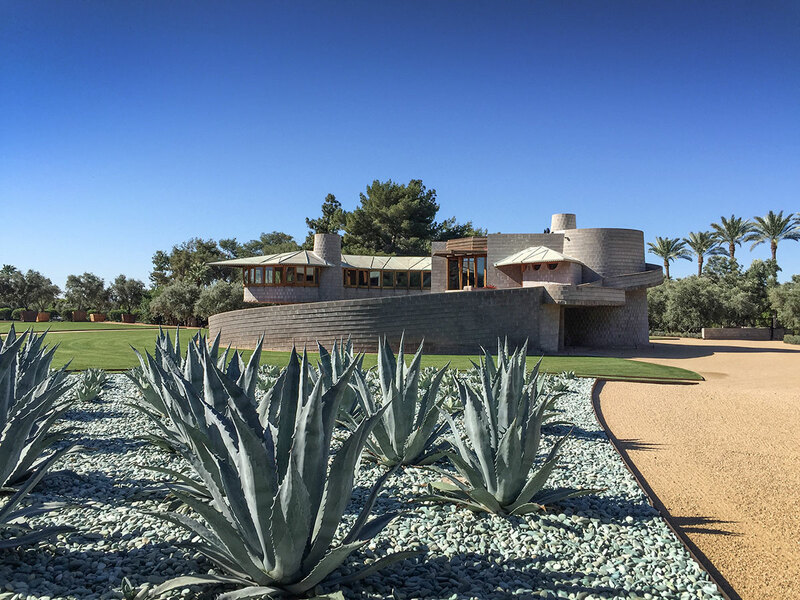 Modern Phoenix partnered with The Frank Lloyd Wright Building Conservancy, Arizona Preservation Foundation, Taliesin West and the City of Phoenix to help ensure this architectural treasure could be appreciated by generations to come. Although we had long been aware that the home was on the market, it had yet to find the right permanent owner. Awareness of the home's vulnerability started with an application at Phoenix City Development Services. The developers filed for permission to split the lot, featuring a property line that grazed within feet of the footprint of the home. 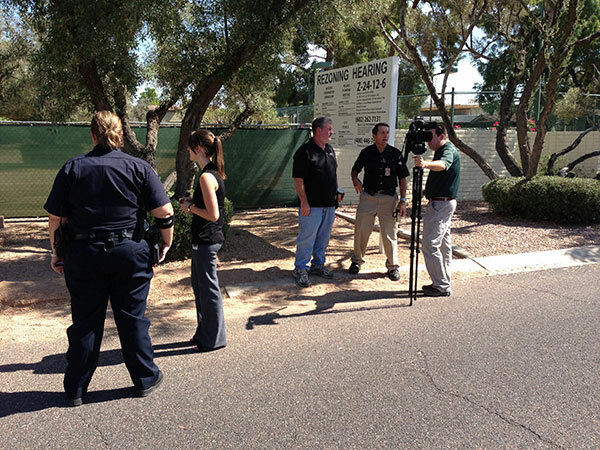 Before the new owners closed escrow, the City of Phoenix initiated the HP-L (Historic Property - Landmark) investigation process and informed them of the procedure. The events below chronicle the preservation struggle in the rough chronological order they developed and as information became publicly revealed. They are provided here as a first-hand chronicle of how various news agencies and groups reported the proceedings. Hindsight maybe 20/20 now but these links provide the events as they were perceived and happening in real time. The struggle entered its next phase in December of 2012 when a philanthropist purchased the home with plans to make it accessible to the public. Here's how we got there. 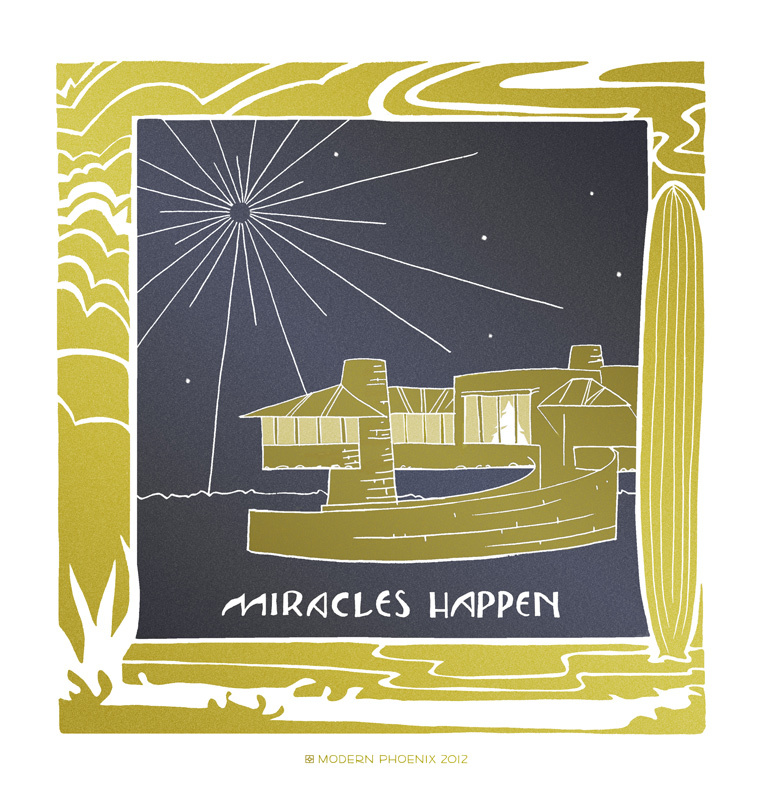 Learn how a flashmob of MoPhos and concerned citizens mobilized to save the David and Gladys Wright Residence by Frank Lloyd Wright. 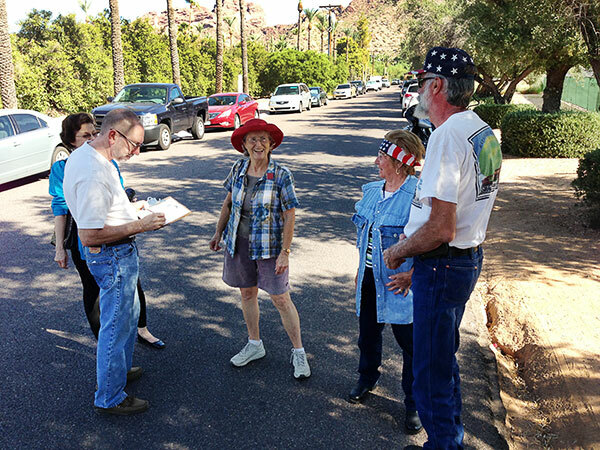 Modern Phoenix attended a walk-through of the home in June with a group of stakeholders including Frank Henry and Will Bruder, and Blooming Rock reported that it was in better condition than one might think. 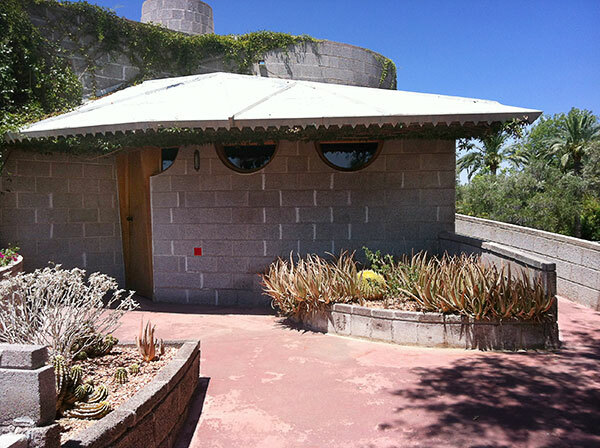 The late great Frank Henry, Studio Master Emeritus of Taliesin, was instrumental in helping the public and developers understand the importance of saving the David Wright House. He testified at City Hall and presented slides in public forums to provide context and background on the home's importance. 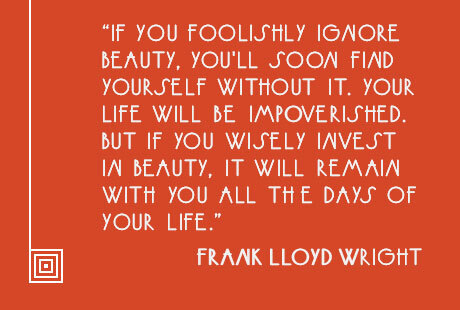 "If the home is demolished it will not be gone forever. It will leave a scar on the earth." 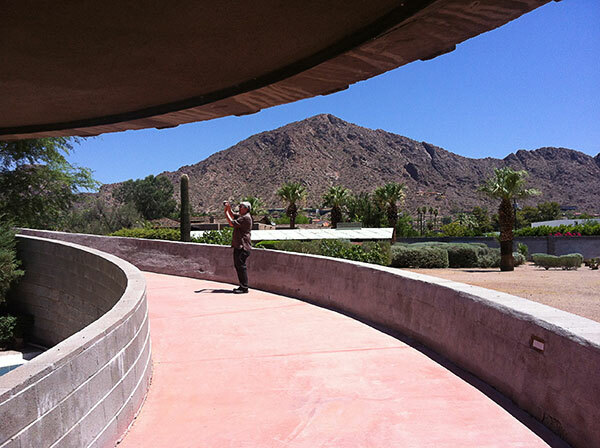 Will Bruder on the ramp of Wright's hemicycle home. Though demolition was not completely off the table, effort to think outside the original lot split plan was appreciated. The developer described a plan to build two more homes on the lot. Will Bruder, Taz Loomans, Christina Noble, Alison King and Scott and Debbie Jarson were among the 20 or so guests who previewed the developer's plans to build two additional homes on the lot. 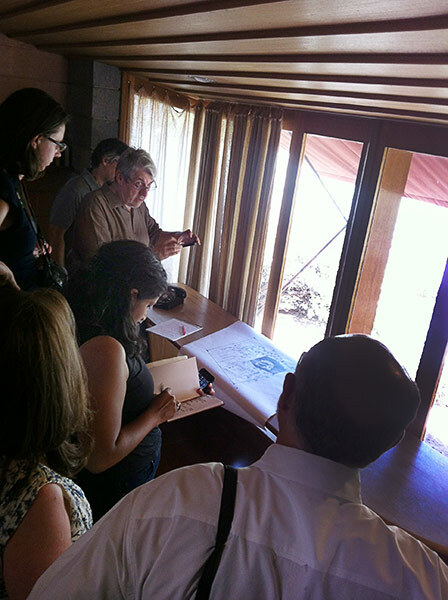 Will was among several architects to offer additional solutions for consideration. As the clock ticked down in the deadline given by the developers, the building's future was in no way 100% secure. 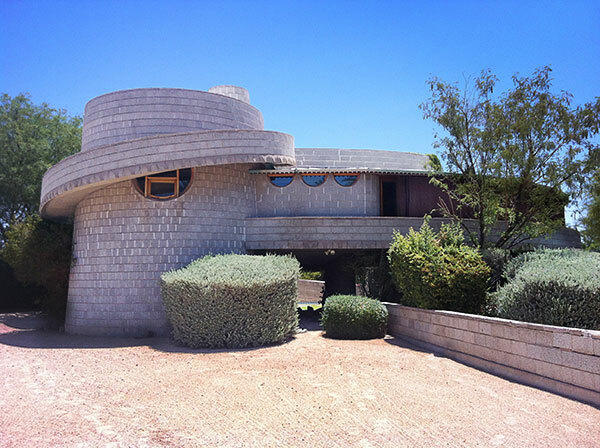 City of Phoenix Historic Preservation Commission unanimously voted to move forward with landmark designation of the David & Gladys Wright House. This was the first of four required meetings. A citizen's observations on the Planning Commission Meeting that sent the preservation community ablaze. A narrow vote to proceed with landmark status designation of the David and Gladys Wright House passes despite lawyer's threats to sue the city at Village Planning meeting. Includes Channel 12 video in right column. 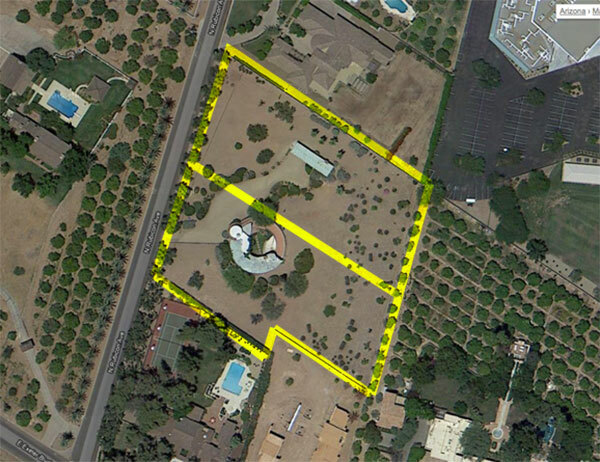 A video tour of the property by Scott Jarson filmed in August 2012. 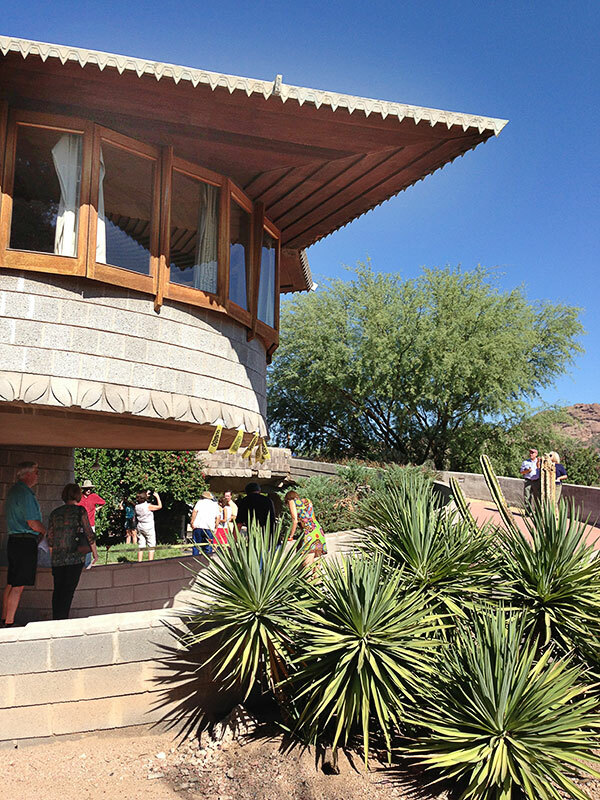 CBS Morning News segment on the need for an angel to purchase the David and Gladys Wright home. Includes interviews with Scott Jarson and granddaughters of David Wright. Ironically, the developers were not accepting any offers on the home. 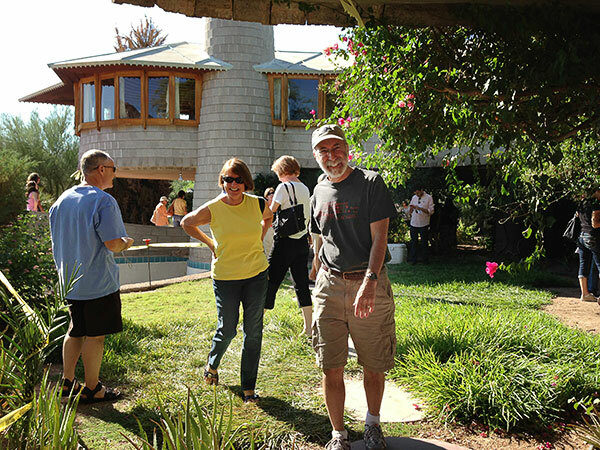 8081 Meridian claims they were away all summer and unaware of historic designation process for their recently acquired Frank Lloyd Wright home. Bizarre, because seven days before they closed escrow they had already publicly declared they would preserve it. Mayor's policy advisor Brendan Mahoney reported that a low-level over-the-counter clerk was responsible for issuance of a demolition permit of the David Wright home. This was and unfortunate complication. You could just move it, right? 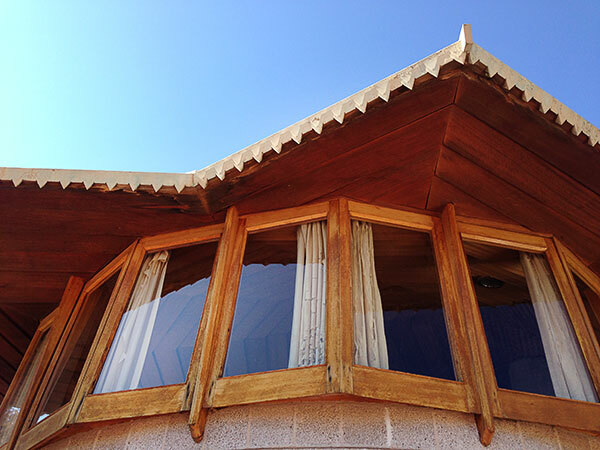 Prairie Mod explained why the David and Gladys Wright House cannot be moved. 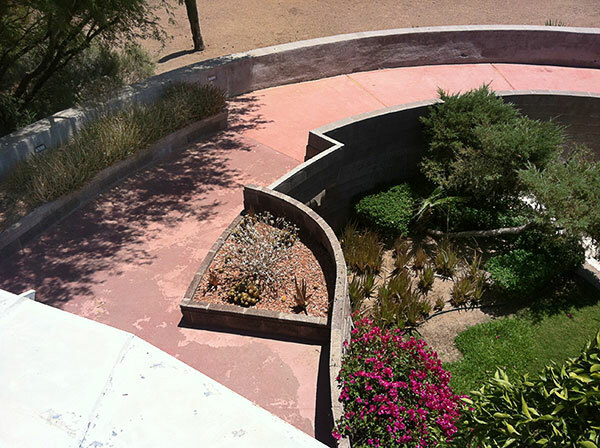 The New York Times pondered once again why Phoenix values the new over the old. 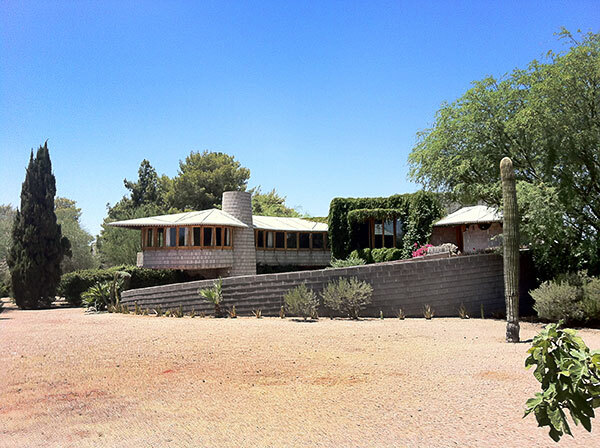 Phoenix Business Journal reported that the David and Gladys Wright home is re-listed for sale for 2.38 million dollars by Robert Joffe. An editorial by former Wright student Vernon Swaback made a compelling argument in the AZ Republic. Have a few million dollars? 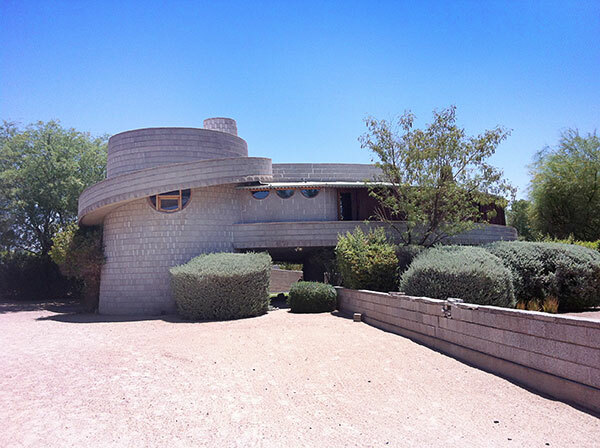 KPHO reported that The David Wright house finally went up for sale again. 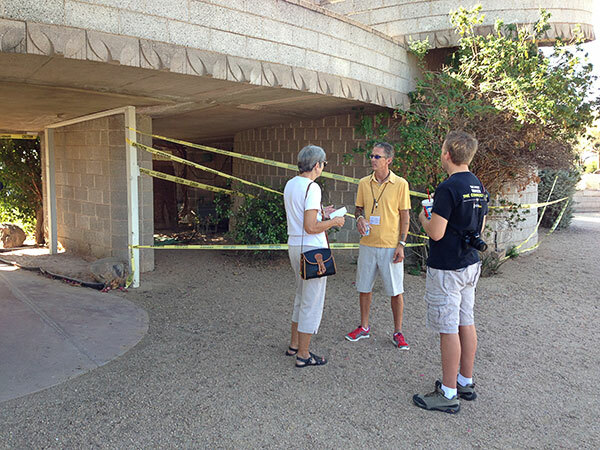 Meanwhile, the Frank Lloyd Wright Building Conservancy was working hard behind the scenes to find a suitable buyer. The Arizona Republic reported that 8081 Meridian's demolition permit expired on Tuesday October 23rd, with no intent to renew it. Download the structural assessment of the David Wright House [PDF], indicating that about $312,010 in improvements were needed to make it a sound residence. This number is in contrast to the millions of dollars cited earlier by developer 8081 Meridian. Owner Steve Sells threatened in the New York Times to wait out the 3 year stay of demolition, then demolish when it expires to recoup his losses if the home is designated HP-L.
On the weekend the developers held an impromptu Open House, oddly with no price listed for sale. 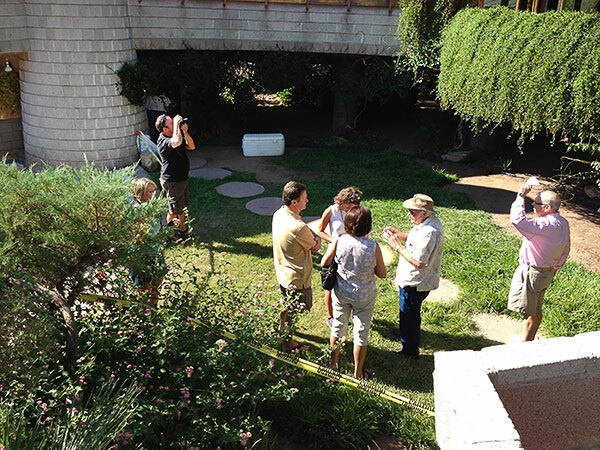 Thousands of guests streamed into the property for a tour. 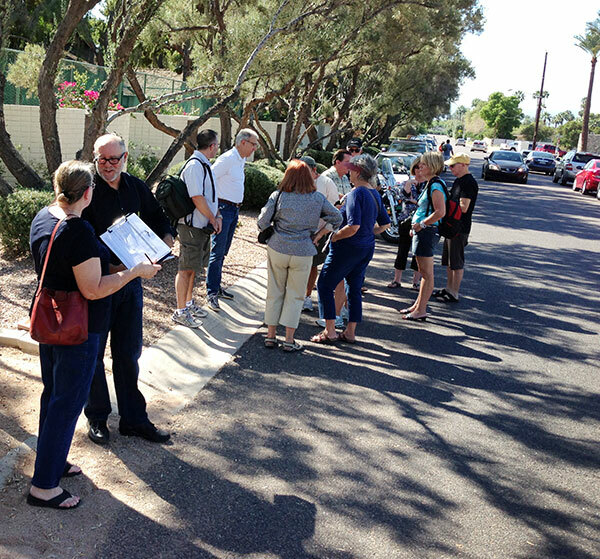 Modern Phoenix was not invited in the outreach, and some of our members were banned from the site, but we caught wind of the open house and invited 4000+ of our closest friends to come visit. 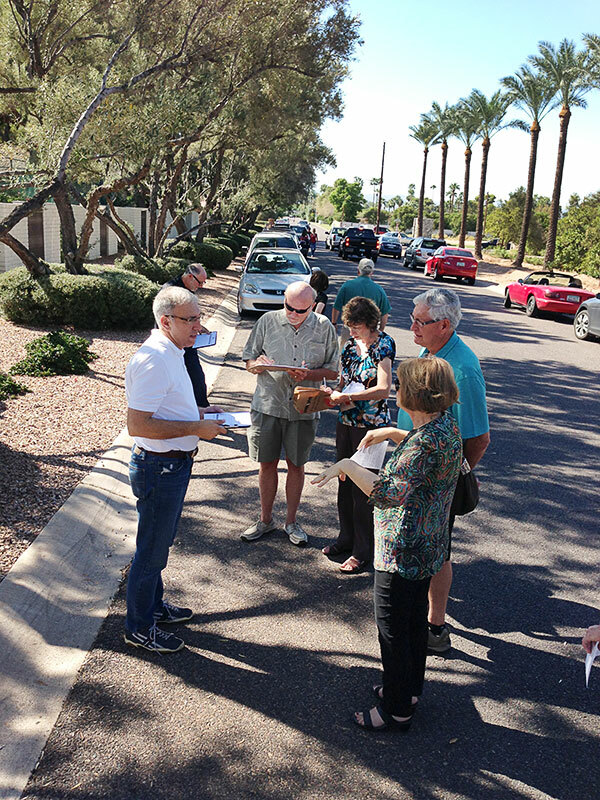 Donna Reiner, Jim McPherson, Scott Jarson and Alison King were among the citizens out on the easement in front of the David Wright home collecting signatures to encourage a positive outcome for preservation. Attendance at the open house event was fueled by a wide-reaching social media campaign to encourage people to assess the situation and decide for themselves what side of the issue they stood on. Hundreds of petition signatures were gathered in favor of preservation by activists that weekend. Conversation was lively as people experienced the structure for the first time. Property owner Steve Sells of 8081 Meridian (in yellow, above) explained his plans to the public. 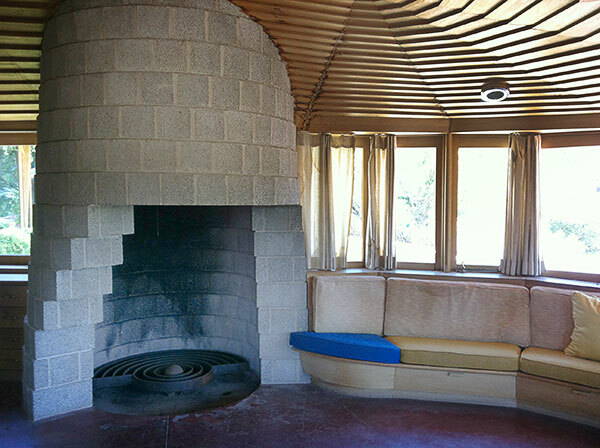 The official real estate listing for the David and Gladys Wright House went public in Fall of 2012, and a mystery buyer came forth with an offer. 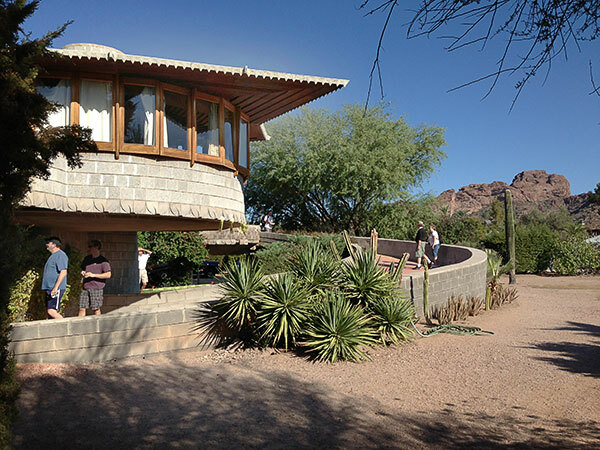 Arizona Preservation Foundation placed The David & Gladys Wright Residence on their list of 25 Most Endangered Historic Places in Arizona. 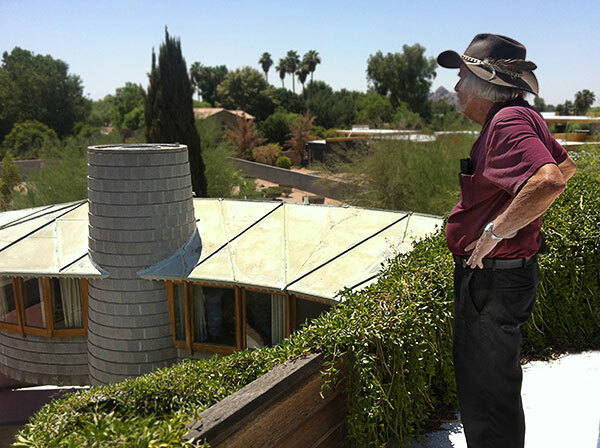 The first mystery buyer who offered to purchase the David and Gladys Wright House for a full cash offer backed out for business and personal reasons during escrow. 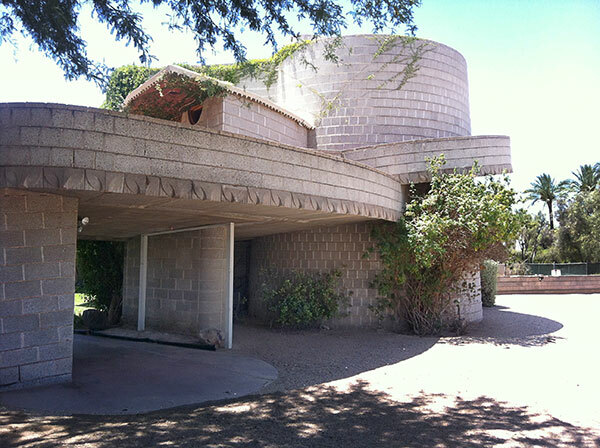 The Phoenix City Council might have been forced to vote on Historic Landmark status for the David and Gladys Wright house without owner's consent if a new buyer was not found before December 5th. The second mystery buyer lined up to purchase the David Wright home also backed out. 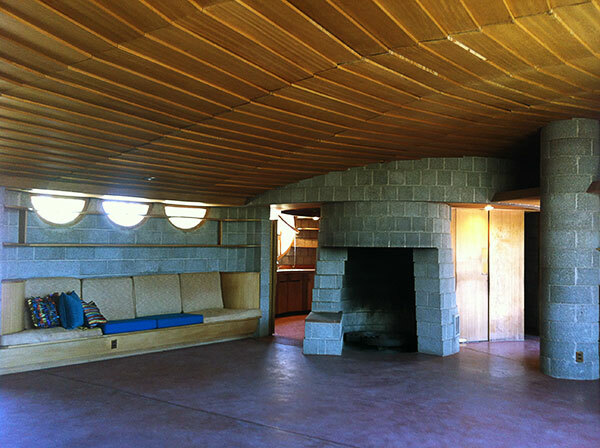 Michelle Dodds spoke about the David Wright House, midcentury neighborhood preservation overlays and Prop. 207 on PBS Horizon. Councilman DiCiccio asked for a longer delay in the final vote, and suggested that if preservationists all got their act together, they could save the home with donations, as if nobody had thought of that before. No agencies were willing to administrate such a multi-million dollar campaign. Later in his re-election campaign, DiCiccio would take credit for saving the home when many on the inside believe that his resistance to preservation in general and defense of the developers was an obstruction. 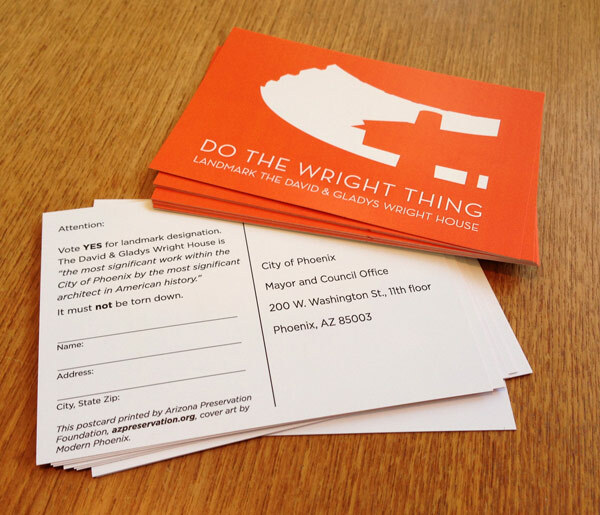 Arizona Preservation Foundation started a postcard campaign flooding hundreds of red postcards into Councilmen and Mayor's offices. 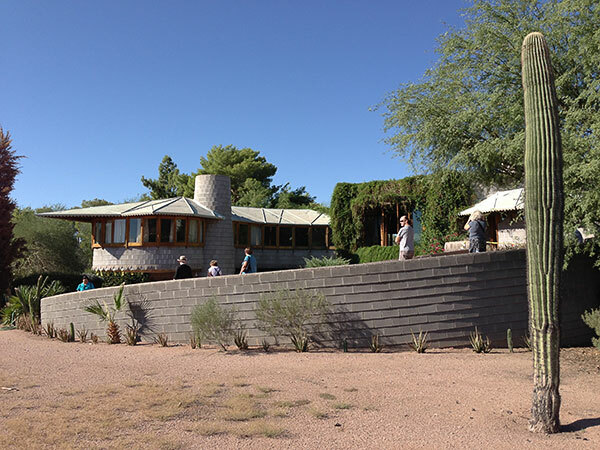 Due to winter travel schedules, there was not any vote on the David and Gladys Wright home's Landmark as planned. 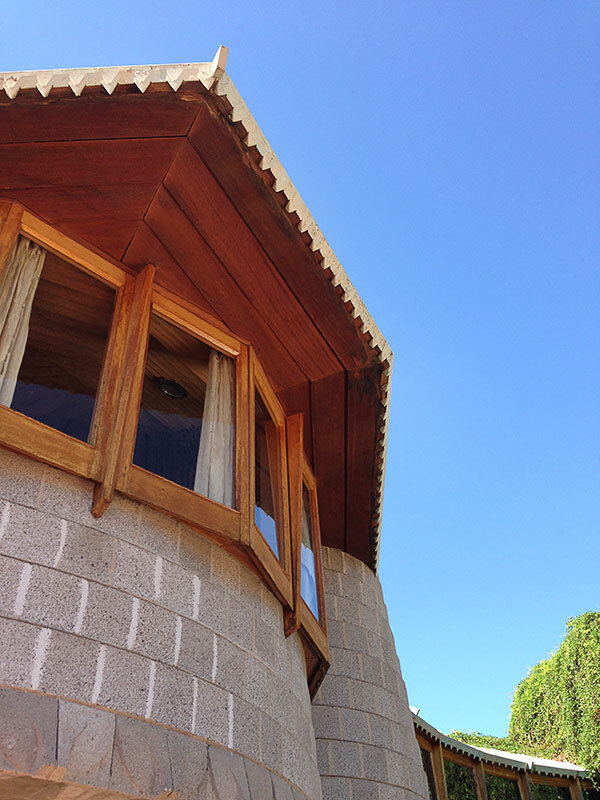 In order to better comply with public notice protocol, the City of Phoenix delayed the final vote on the David Wright House. 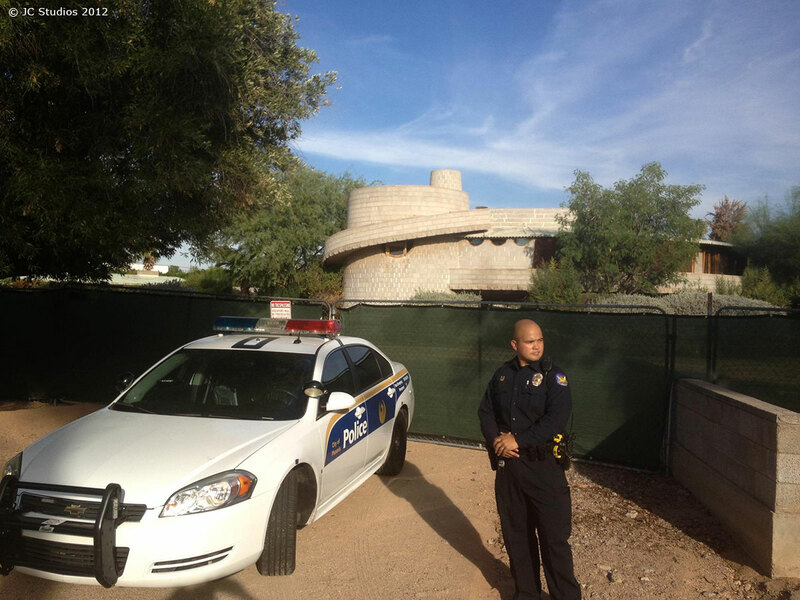 Sal DiCiccio in Phoenix City Council District 6 calls for the future preservation of all Frank Lloyd Wright properties in our area, so this stress may never have to be endured again. 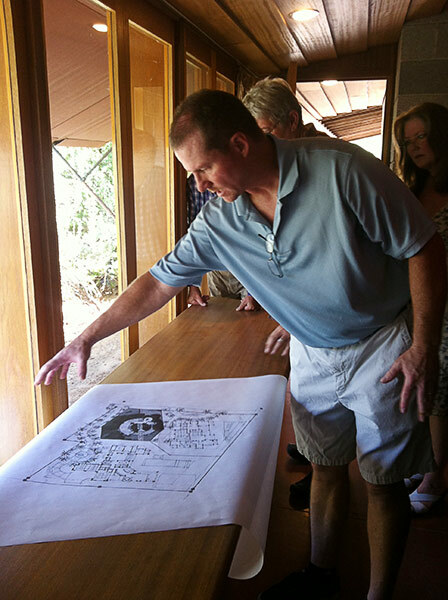 He didn't realize that The City of Phoenix and AIA were already working on it. 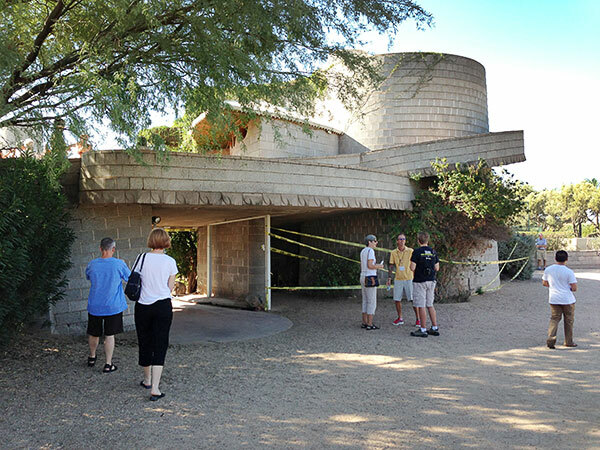 Blooming Rock observed that architectural preservation in Phoenix may never be the same after resolving this landmark battle, and gave credit to the team of advocates who worked behind the scenes on this effort. Arizona Republic published Alison King's editorial "Miracles Happen" in the week preceding winter holiday. VICTORY! 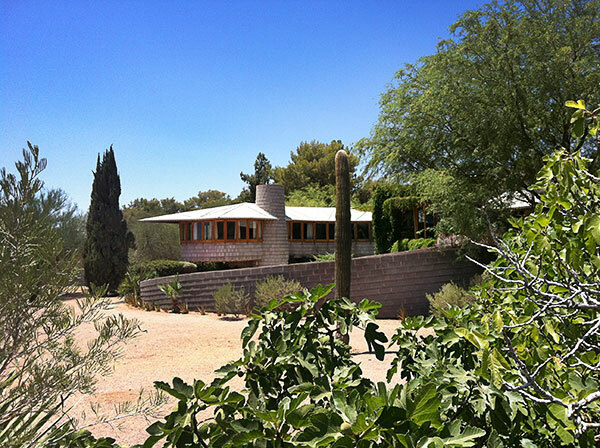 The David and Gladys Wright home sold to an anonymous buyer on December 20th! Transfer to a nonprofit agency is forthcoming. The vote for Landmark Designation is projected to happen in Fall 2015. 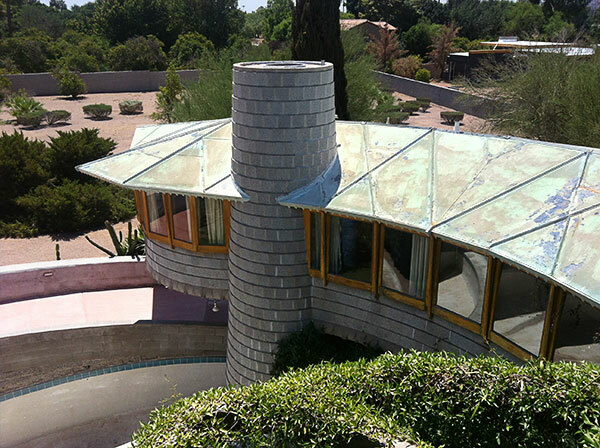 The Phoenix City Council needs to hear what you think about landmark designation. Please write, email, telegram or call your councilman and the mayor here. You may also register your support here. 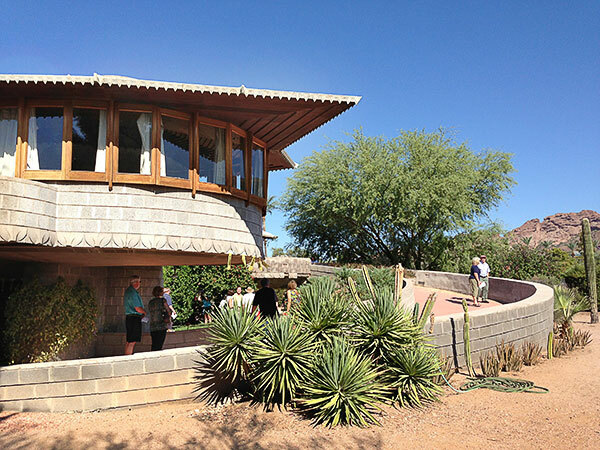 If voted through by City Council, the David and Gladys Wright House is sure to become a cultural resource that Phoenicians will treasure for decades to come. The vote will likely be close, so weigh in on the future of your city.